The work presents a stress-based algorithm developed for the topology optimization of 3D surfaces. The novelty of the proposed methodology consists in the fact that it acts directly on a CAD level, and not on the mesh as is more usual. This allows to obtain a CAD ready to be manufactured with Additive Manufacturing technologies, without any subsequent intervention by the designer. The CAD algorithm is written in Rhino-Grasshopper environment and it is suitable to any FEM software. The methodology consists in a hollowing of the surface, starting by a Voronoi tessellation, allowing the designer to set a lot of parameters, as the number of control points, the dimension of the holes and the thickness of the branches of the tessellation. An iterative process leads to redraw at each iteration the Voronoi scheme in order to add material where the stress is higher and to remove it where the stress is lower. As a case study, in order to show the characteristics of the methodology, a seat for powerboats applications has been tested and optimized. 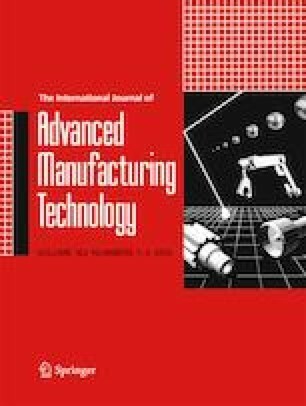 The results from the case study demonstrate the high performance of the method and the capability to obtain in easy way light weight structures oriented for the Additive Manufacturing new technologies. The authors wish to thank the Union Internationale Motonautique (UIM) for providing materials and information and Tom Stanley, Sergio Abrami, and Sebastiano Pellecchia for the precious comments and suggestions. G. Savio, R. Meneghello, G. Concheri, Optimization of lattice structures for Additive Manufacturing Technologies, in: B. Eynard, V. Nigrelli, S.M. Oliveri, G. Peris-Fajarnes, S. Rizzuti (Eds. ), Adv. Mech. Des. Eng. Manuf. Proc. Int. Jt. Conf. Mech. Des. Eng. Adv. Manuf. (JCM 2016), 14-16 Sept. 2016, Catania, Italy, Springer International Publishing, Cham, 2017: pp. 213–222. doi: https://doi.org/10.1007/978-3-319-45781-9_22. (2011) Material data sheet EOS titanium Ti64 material data sheet technical data, 49 1–5. doi: https://doi.org/10.1099/mic.0.051441-0, Linear plasmids mobilize linear but not circular chromosomes in Streptomyces: support for the 'end first' model of conjugal transfer. 2017. SFI Specification 39.2 Racinc seats, http://www.sfifoundation.com/wp-content/pdfs/specs/Spec_39.2_082517.pdf.